When you think about your home being broken into, you probably think about coming home to a huge mess — finding your things scattered all over your home and finding out that your jewelry, flat screen television, video game consoles and computers have all been stolen. 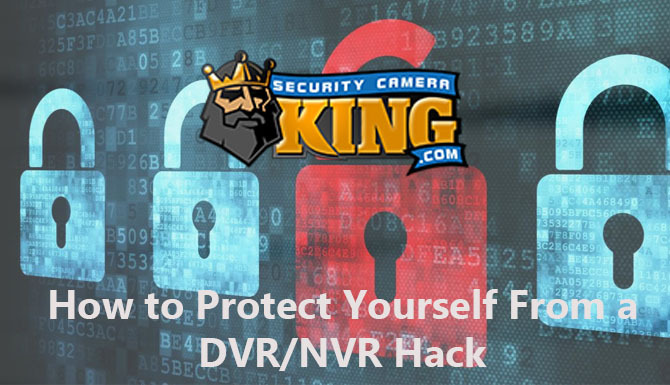 Although this is obviously something that you want to avoid by having burglar alarms and surveillance cameras in place, you should know that you shouldn’t only be worried about individuals who will come into your home while you are at work on on vacation. 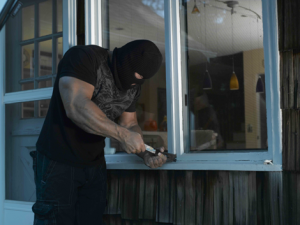 Unfortunately, people break into homes while the homeowners are there on a regular basis, so it is important for you to understand the types of criminals who might break in while you are at home. In most cases, thieves and burglars don’t want to meet the individuals who they are stealing from. There are a few reasons why: First of all, these types of criminals usually don’t want to be recognized, and they are far more likely to be described to the police if they meet you in person than if they sneak in while you are away. Not only do they have to worry about you noticing their hair color, eye color, height and weight, but you might also notice a weird lisp when they talk, a limp when they walk, a tattoo that isn’t usually recognizable or another type of identifying feature. With all of these things put to the side, most criminals don’t want to be seen because many homes don’t have surveillance cameras, but most homeowners can see and give a description of an individual who has broken into their home if they have seen them face-to-face. This isn’t the only reason why many criminals prefer to enter homes while they are alone. Along with being afraid of being recognized, many criminals are afraid of being harmed. Just because someone will enter a home to steal something doesn’t mean that he or she is always carrying a weapon, and most thieves know that a lot of people have guns in their homes. Along with worrying about guns, these individuals also have to worry about knives and other weapons that might be brought upon them when they enter a home without permission. Another reason why many criminals won’t enter a home when people are home is because they are scared of getting other charges in the event that they do get caught. Although most people know that they will face serious charges for breaking into a home and stealing something, these same individuals also know that they will get in less trouble in many courtrooms for breaking into a home where no one is home instead of a home that is full of a family. Although it is true that most criminals won’t enter a home if they know that someone is there, this doesn’t mean that you or any of your family members should feel safe without taking the right security-related measures. It is certainly true that your home is probably at less of a risk of being burglarized when it is obvious that people are home, but this doesn’t mean that you should have a false sense of security. Instead, you should be aware of the types of criminals that might still break in while you — or someone in your family — is home. Although it is scary to think about it, it is best to have an understanding of these things before any type of similar situation occurs; if you do, you can make changes to your security system, educate yourself and ensure that you, your family and your home are ready for any type of situation. Since many criminals don’t mean to actually meet with homeowners when they break into homes, many individuals end up being surprised to find that someone really is in the house. There are a lot of reasons why a person might accidentally break into your home while you are there. Although the person might have meant to break into your home, the individual may not have known that you were around when he or she did it. There are a lot of reasons why an individual might break into your home without knowing that you are there. If someone has been staking out your home and planning on robbing you, he or she might have gotten confused if you got off of your normal schedule and routine somehow. For instance, you may have stayed home because you were sick instead of going to work, or you could have dropped your car off at the mechanic’s shop to get some repairs done. Situations of this nature can either go very well or be very dangerous. In many cases, criminals who weren’t expecting to see anyone but who do will run away in fear of getting caught or harmed. However, you do have to worry about individuals who will panic and try to harm someone that they didn’t think would see or catch them. There are a lot of smart and calculating criminals out there, but there are also a lot of criminals who don’t really have their minds right. In many situations, these are the criminals who you have to worry about breaking into your home while you are there. For instance, someone who is mentally handicapped might throw a rock at a window, watch it break and see what he or she can steal. Just because this person is mentally handicapped certainly doesn’t make it okay for the individual to burglarize your home, but you should know to look out for this type of activity. An individual who is high on narcotics may also break into an occupied home while he or she is high. Someone who is high might want or need drugs very badly, and the individual might not pay attention to whether or not a person is home before attempting to break into the home. If the individual does realize that someone is home, he or she might be so “out of it” that he or she doesn’t understand the repercussions of breaking into someone’s home. 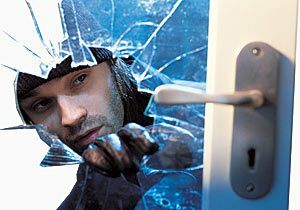 Others who break into a home might simply be confused about what is going on for one reason or another. Mental illness and drugs are common causes of this, but some individuals simply get confused because of other circumstances. In these cases, individuals could walk into or break into home that aren’t their own in an attempt to get into a different home, or they could try something out of the ordinary. It is important to exercise caution around individuals who have mistakenly entered your home. When you think of a stranger breaking into your home while you are there, a predatory criminal is probably what you think of. Although you probably think of these individuals when it comes to a home invasion while the house is occupied, it is important to think about individuals who do mean harm toward your family. There are a multitude of reasons why a person might target your home for predatory reasons. The individual could have a vendetta against you or your family, or he or she could have been watching you for an extended period of time. Although it is scary to think about, it is only realistic to think about such things happening. A predatory criminal could enter your home for a variety of reasons. He or she could be interested in sexual assault, or the individual could be interested in a physical fight. When it comes to a predator who intentionally enters your home when he or she knows that you or someone else is home, you can’t take your chances; you never know what the individual could be up to. Since these types of situations can be extremely dangerous, regardless of who or what is in your home, it is important for you to take them seriously by contacting the authorities. If possible, it is best to prevent these situations from occurring in the first place by keeping your home as safe as possible; although there may not be anything that you can do in order to keep your home entirely safe, installing surveillance cameras and a burglar alarm can help keep you, your family and other individuals in your home safe in the event that a predatory criminal attempts to enter your home, regardless of his or her reason for trying to get in. Any home invasion is scary, but thinking about someone entering your home while you are there might be more frightening than anything. Although there is really nothing that you can do that will completely prevent crimes from occurring in and around your home, making sure that you and your family are as ready as possible for these situations can make a difference. 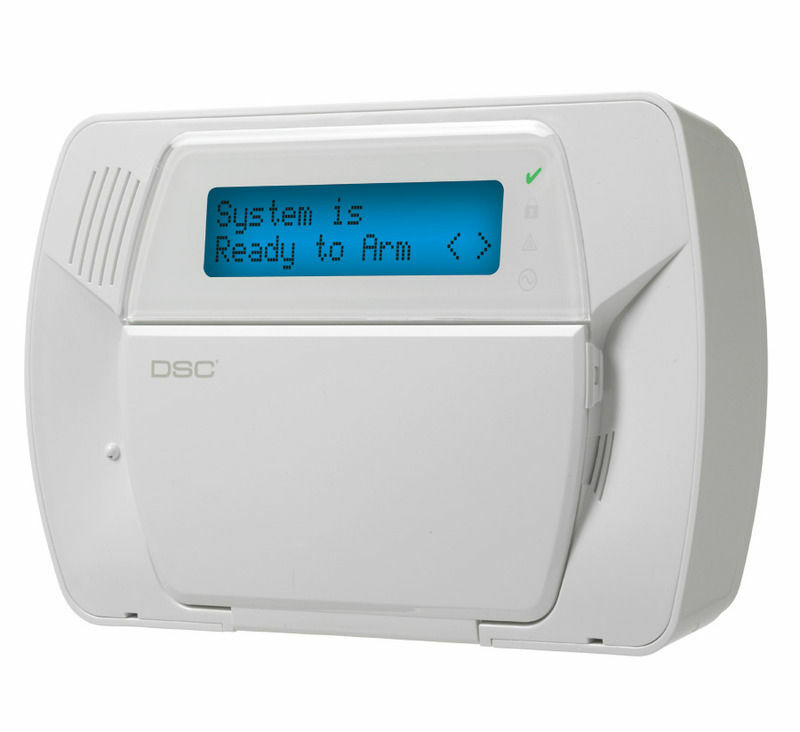 First of all, you should consider installing a high quality burglar alarm in your home. If you have a burglar alarm, you will be notified immediately if someone attempts to enter your home. Not only can you set up your burglar alarm so that it will sound a loud alarm that will alert you and your neighbors of the situation, but you can also hire a monitoring service for your system. With a monitoring service, you can make certain that local law enforcement officers are informed in the event that someone enters your home when they aren’t supposed to. With some systems, you can even install “panic buttons” around your home; in the event that there is an emergency, you can press these buttons to alert your burglar alarm monitoring company that something is amiss; in turn, they will alert the local authorities. Although having a burglar alarm is certainly a great means of making steps toward protecting and securing your home, you shouldn’t depend on one of these systems alone. Criminals might enter your home through alternative entries, or you could forget to set your alarm, especially while you are hanging out at home. Even if your burglar alarm sounds and notifies the necessary authorities, there is little that anyone can do if the criminal happens to get away without being noticed by you or without leaving evidence. Therefore, you shouldn’t count on a burglar alarm alone to keep your home safe; instead, you should combine your burglar alarm with other security-related equipment, such as a surveillance camera system. If you have surveillance cameras in place, you will have video evidence in the event that someone enters your home when they are unwelcome. 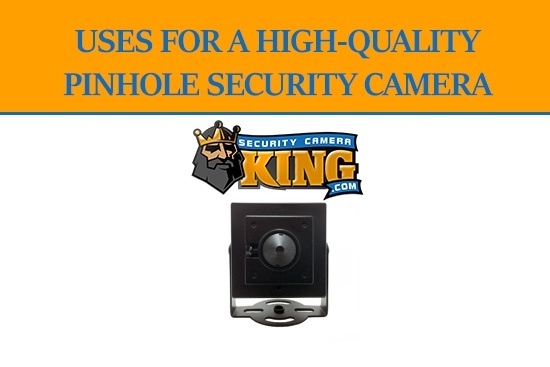 Along with having video evidence, you can also feel more comfortable if you have plenty of surveillance cameras in place because these cameras often deter crime. 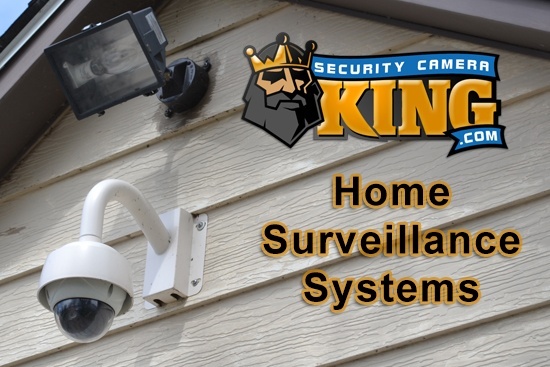 Overall, it is certainly worth your while to install both surveillance cameras and a burglar alarm in your home if you want to keep it as safe and secure as possible. Not only can these forms of security help keep you safe while someone enters your home when you are there, but you can also help reduce the risk of someone breaking into your home at all, even when you aren’t home. Even if someone is brave enough to attempt to break in, you will have the equipment that is necessary in order to hopefully catch these individuals. Fortunately, a security equipment expert can help you find the right equipment for your home. Whether you rent or own, have a small home or a large one, are home a lot or travel all the time, have expensive possessions or not, having ample security for your home can help you and your loved ones feel safe, and it can also help you keep your home and property as safe as possible. With the help of a security equipment professional, you can determine what type of equipment you should purchase for your home without going over your budget. Contact us today to help you out with your home security needs.